These students created their own software start-up which provides online real-time live tutoring via a web browser. Their service matches students from the specialized high schools with students in need. Tutors are not compensated monetarily but rather rack up hours that qualify them for gift cards and prizes from sponsors. 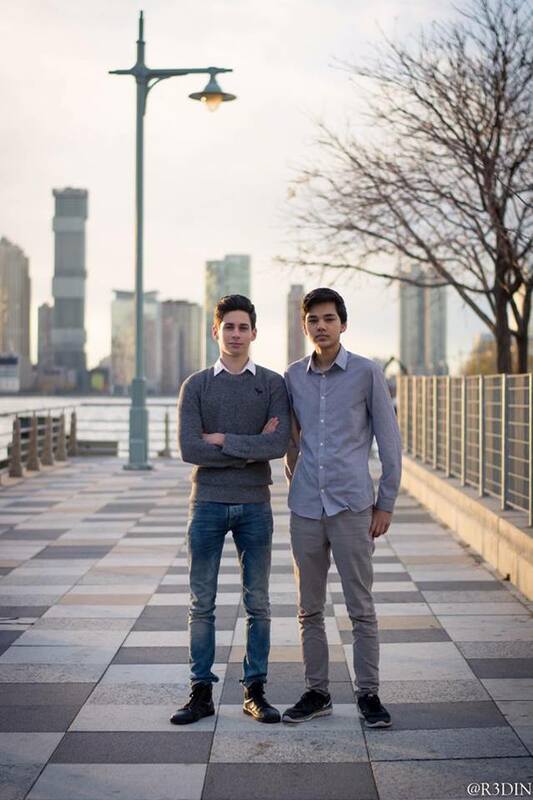 “StudySwap, Inc. is a peer-tutoring company created by Stuyvesant students. This is a software startup that utilizes browser-to -browser communication technology. Our company provides online real time live tutoring by matching students with tutors from specialized high schools and colleges. The online tutoring sessions can take place anytime and anywhere as long as both parties have a computer. The tutoring services are provided at extremely reasonable cost to the recipients since the student-tutors do not receive any monetary compensation with all funding going towards development and support. They instead get volunteer hours and rankings, as well as gift cards and prizes from corporate sponsors, specifically companies that cater to millennials. “While teaching a 7th and 8th grader introductory computer science (CS) concepts at Masaryk Homes, a low-income housing community, I realized the lack of a math foundation was making it difficult. I had just taught them how to define a function in Python [a programming language], and I asked them to practice by writing a function that calculates the area of circle. They didn’t know how to find the area of a circle. ‘Perimeter of a square?,’ I asked them. Blank expressions. Trying to teach programming to kids who didn’t have basic math skills is not an easy task. I decided to try something different. I moved them to Java. Python is usually used as an introductory language because of its easy syntax, however it’s hard to understand conceptually. So I turned off my laptop and took out a paper and pen. The rest of the lesson was all conceptual drawing. As I was walking home, I thought back to my first time learning CS, I tried to remember my classmates learning these things for the first time too in their IntroCS classes. And then it hit me. These two picked up the concepts at an average pace, on conceptual learning alone they could have been in any Stuyvesant IntroCS class. What they were missing were the fundamental things that Stuyvesant students had all learned at an early age. It’s easy to walk around Stuyvesant every day and feel proud; proud to be amongst the “school full of geniuses” and just feel inherently smart. That day I realized how unremarkable I am, how unremarkable all the people whose academic abilities I hold high in regard. I remember thinking, how many of us would be at that school today if we didn’t have parents who spent money on tutors and prep books. This wasn’t the first time I heard about the income and environmental barrier in education. But this is the first time I witnessed it with my own eyes. When I got home, I saw a text from Caroline, the community member who asked me to teach the kids: ‘Great job with the session today! More kids would like to join, can any more students from your HS come teach? Thx C.’ I read this and started to think about the limitations. Although there are plenty of specialized high school and private school students to help tutor the thousands of students with family income levels too low to afford private tutoring, coordinating all those in-personal tutoring sessions would be impossible. The previous summer, while I was in Wales working as an Android Developer for CafeX, I found myself with a lot of free time. So I began coding StudySwap, a system for facilitating peer-tutoring online that I thought would be cool to use with my friends. I started to think about it in a broader context. If I could figure out a way to incentivize the more affluent students to tutor underprivileged students using the StudySwap online platform, with something other than payment, I could potentially create something truly helpful. So, I began spending more time coding it into a fully functioning app. Soon, I hit a roadblock. I realized that creating something as scalable as I would like StudySwap to be requires money, and money requires business incentives for investors. So I created a plan for earning revenue through the site, still without charging the low-income students a dime. How did you and your business partner, Jason Lanzman ’17, meet? “Jason and I have known each other since sophomore year, but we started talking during the New York State History Day trip in Cooperstown last June. How is it balancing working on a start-up and your other commitments? What do you plan on studying in college? Sachal and Jason are mainly looking for consultants and corporate sponsorships. If you are interested in helping out, please email [email protected] with the subject “StudySwap” to pass along your contact information to these two young men. 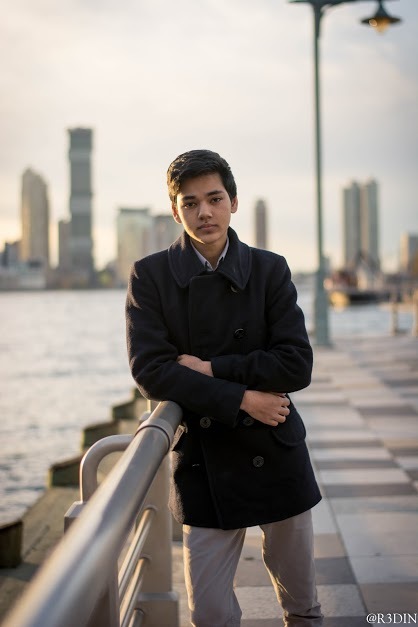 Help Stuyvesant students change the world!